Your skin is a major indicator of your overall health, and one of the most obvious outward manifestations is its ‘youthfulness’. Understanding how your skin works and creates (or inhibits) younger-looking skin is key to preserving this vital organ for as long as possible. The natural process of ageing is known as ‘intrinsic ageing’ and exactly when this happens is largely determined by our genes. Other factors (that we have far more control over) like environmental and lifestyle choices can either cause the skin to remain youthful for longer or age prematurely. These are known as ‘extrinsic ageing’. Sun exposure plays a major role in premature skin ageing that’s why everyday sun protection is essential. From staying out of the sun at mid-day, to wearing protective clothing, to avoiding a tan as a beauty benefit, to embracing your natural skin colour, to always applying an effective sunscreen. Photo-ageing is the damage that is done to the skin as a result of long-term exposure to ultraviolet (UV) radiation over a lifetime. The natural changes that occur in the skin as we get older are greatly accelerated by excessive sun exposure. Photo-ageing actually starts in your teens, is clinically suspected in your 20s, and is clearly established in your 30s. Generally, in our late 20s and early 30s the first signs of photo-ageing (light damage) appear. This means that the skin feels drier and fine lines begin to appear. The skin loses its translucency and the texture becomes rough. 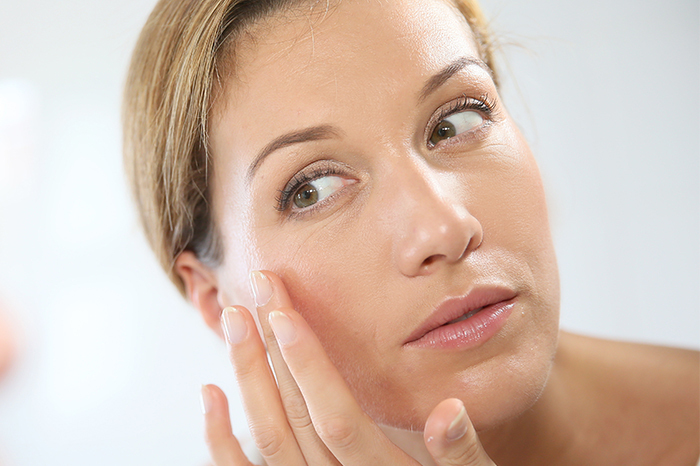 Signs of photo-ageing are wrinkling, laxity, loss of elasticity, sallowness, and irregular pigmentation and sun spots. There is however one molecule that can truly assist in helping to keep your skin beautiful by communicating with, and reprogramming, cellular function in order to make cells behave in a younger manner. This is the vitamin A molecule. Our lifestyle and daily sun exposure reduce the natural levels of vitamin A in our skin, and these need to be replenished daily in order to assist our skin to repair and rejuvenate. Vitamin A ‘normalises’ our skin cells to function optimally. It assists in the promotion of healthy collagen and elastin formation by stimulating fibroblasts (cells that produce collagen in the dermis), leaving skin looking firmer and more youthfully radiant. Vitamin A helps to speed up healing, it supports the skin’s immune system and it promotes natural moisturising factors - which means it helps to hydrate the skin effectively, giving it a radiant glow. 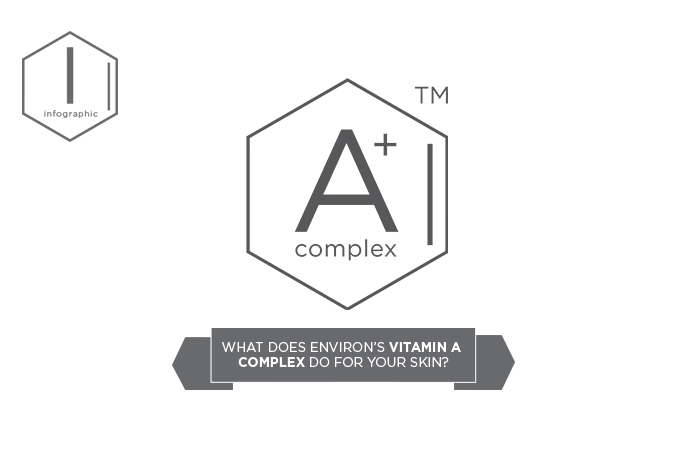 When it comes to vitamin A skin care products, no skin care brand understands the importance and benefits of vitamin A better than Environ Skin Care. Dr Des Fernandes, Environ Skin Care Founder & Scientific Director, thoroughly researched vitamin A and harnessed its power to create Environ Skin Care products more than 25 years ago. 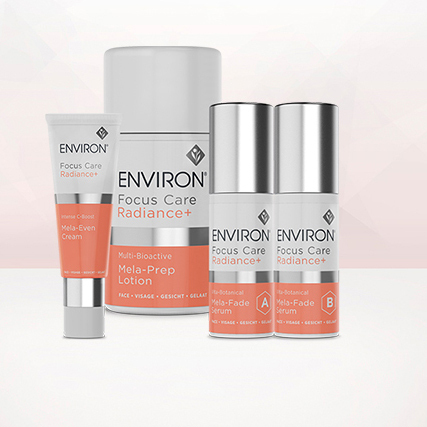 Environ’s products were primarily designed to correct the chronic deficiency of vitamin A that everyone suffers from in the exposed areas of their skin. The reality is that vitamin A needs to be replaced every day for skin to appear healthier and more resilient. When combined with other essential nutrients (like antioxidants and peptides), that’s when you can begin to see and feel a healthier looking, more youthful skin that can belie your age in a number of years! Want to know what can truly help you to look younger? 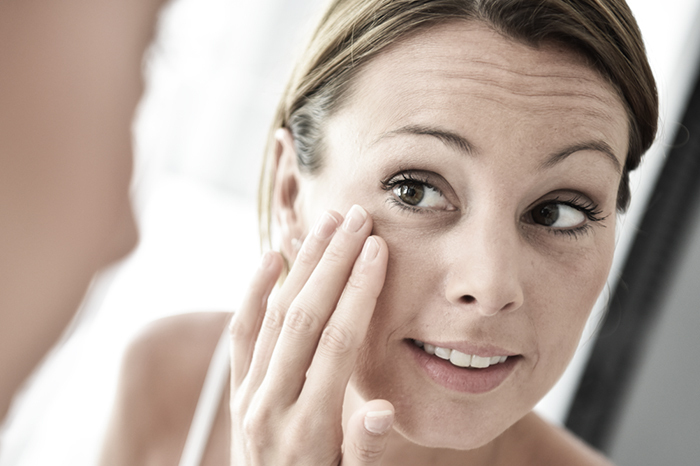 Understand some of the facts about ageing skin and what you can do to help prevent it.